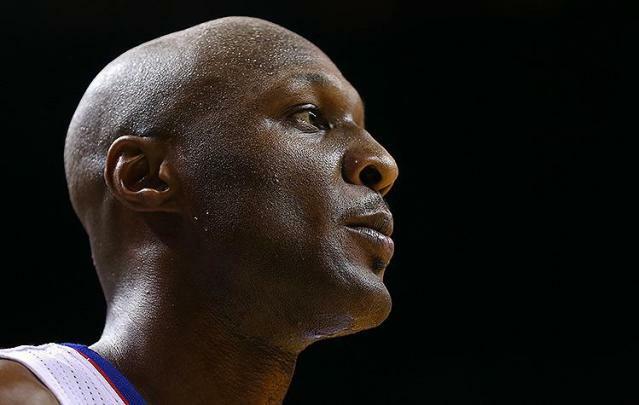 Unrestricted free agent forward Lamar Odom has reportedly checked himself into a drug and alcohol rehabilitation center, according to People.com. "He realized he needs help," a source told People's Jennifer Garcia. When this realization took place remains unclear, but any action based on it had to have been pretty recent. As TMZ notes, Odom "was seen out in public" over the long Labor Day weekend after being arrested early Friday morning on suspicion of driving under the influence of "alcohol and/or drugs." The 33-year-old forward was released on $15,000 bail and had his driver's license suspended for one year for refusing a chemical test at the time of his booking. The DUI arrest came on the heels of multiple reports that the 14-year NBA veteran — who played last season for the Los Angeles Clippers, and who won two NBA titles and the NBA's 2011 Sixth Man of the Year Award with the Los Angeles Lakers — has used crack cocaine, OxyContin and Ambien in recent years, and had gone missing for three days after a reported attempt at an intervention by wife Khloe Kardashian-Odom didn't take. The happiest Laker is the one whose father was addicted to heroin, whose mother died of colon cancer when he was 12, who attended three high schools, had his first college scholarship revoked before the fall semester of his freshman year, became a subject of three college investigations, declared for the NBA draft, tried unsuccessfully to pull out of the draft, was picked by arguably the worst franchise in sports, violated the league's antidrug policy twice within eight months and after finally getting his life together, went home to New York City for an aunt's funeral and wound up burying his 6½-month-old son, then getting robbed at gunpoint. The off-court woes only mounted over the years, with the summer of 2011 proving especially tumultuous, as Odom watched his cousin die after being shot in the head and was a passenger in an SUV that was involved in an accident that killed a 15-year-old cyclist. Shortly thereafter, Odom was included in a blockbuster trade that would have brought Chris Paul to the Lakers and sent Odom to the New Orleans Hornets; when that deal was vetoed by NBA Commissioner David Stern, Odom, apparently feeling betrayed, reportedly demanded that Lakers general manager Mitch Kupchak trade him, resulting in his shipment to the Dallas Mavericks in exchange for a 2012 first-round draft pick and an $8.9 million trade exception. That went horribly, for any of a number of reasons, leading to the Mavericks sending Odom packing without a playoff share. Odom caught back on with the Clippers last season, but he was pretty darn awful offensively, offering production poor enough to undercut the fact that he was a legitimate helper on the defensive end. Even if Odom's world was in order this offseason, he'd likely be having a hard time finding a steady gig for next season, no matter what his last head coach has to say about what he's got left in the tank ... and it now seems pretty clear that Odom's world is anything but in order. Later in his 2009 SI story, Jenkins wrote that Odom had reconnected with his father, Joe; years before, Odom noted that he thought about his father's addiction during the early years of his career, like when he received a five-game suspension in 2001, during his first stint with the Clippers, after violating the league's anti-drug policy twice in an eight-month span. He "tearfully admitted to smoking marijuana" at the time. "A lot of times I'd think about it and say, 'Damn, am I fighting my father's demons with this?'" Odom said in a 2003 Miami Herald interview. "I just couldn't control myself in L.A. I look back at it, the lifestyle that I was living and the things I had access to, it could have been something else." We don't know yet for certain whether Odom's check-in is pegged to "something else," or booze, or weed, or a combination of all of the above; all we know is that he's apparently made the decision to hit the brakes and get some help. Here's hoping that, amid the storm clouds that have long since gathered over Odom, that choice represents something of a silver lining ... or, if you'd prefer a different metaphor, a ray of light at the end of what sounds like a pretty dark tunnel.